Your wedding is one of the moments that you will remember and cherish forever. We believe that our green lush gardens, peaceful waterfalls, exotic flowers and stunning views will help to make those memories as beautiful as they should be. The Inn at Paradise sets the mood for a tranquil destination wedding right in our backyard. 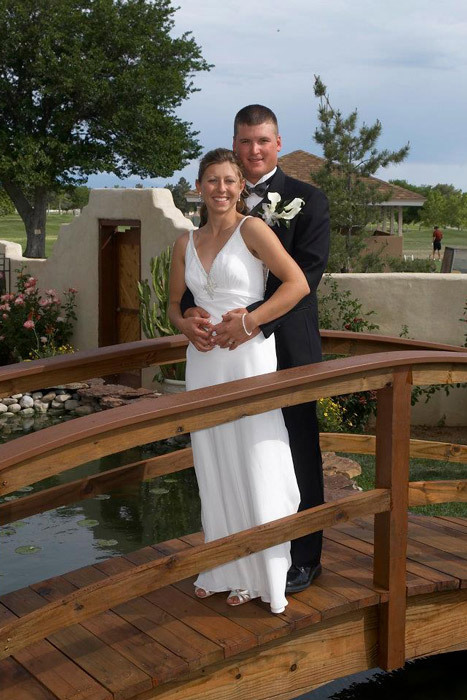 We are located right on the Desert Greens Golf course and overlook the beautiful Sandia Mountains, making our views exquisite, a perfect backdrop to the perfect wedding photograph that will last for many years to come. Our wedding package is put together in a way that gives you the freedom to relax and not worry about time constraint. 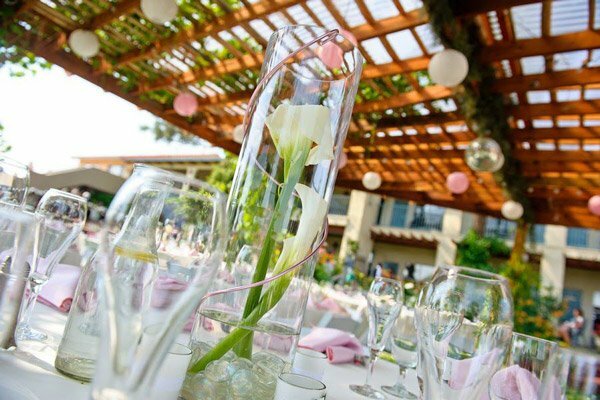 We offer a two day package where you can do it all-have your rehearsal dinner, your ceremony and reception. The two-day package includes 10 of our beautiful rooms, including the romantic bridal suite and remaining suites. Along with the rooms you get the entire outdoor facility for two nights. We have a surround sound feature that fills the gardens with peaceful music of your choice, perfect for the dinner or cocktail hour before the band or DJ begin to play. We know that your day is very important and special to you and therefore it is important and special to us. We can schedule a private showing of our rooms and facility with you today.